What Does It Mean to Embody Mindfulness and Why Does It Matter? We’re excited to launch the Mindful Schools Workshop Series to give educators access to experts and take a deeper dive into leading-edge topics in Mindfulness in Education. The 75-minute workshop format is designed to provide you with high-impact learning and practice experiences to support your ongoing personal and professional development as a Mindful educator. Join us! If you are working with youth, it’s likely that you are motivated by love. You want the young people that you spend time with to have tools to live happier and more easeful lives. We are deeply conditioned to believe that employing such tools in our own lives is selfish, takes too much time, that we are undeserving of compassionate attention, etc. In this workshop, we’ll explore the ways in which those myths are not only false, they don’t serve anyone. We’ll also touch on the beauty of how effective tools become when they are offered by someone who embodies Mindfulness. 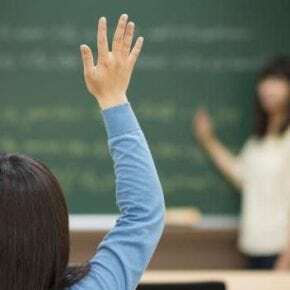 We’ll explore what it means to embody Mindfulness by using Peace in Schools as a case study in a for-credit Mindfulness course in public high schools in Portland, Oregon. Join us on February 24th to learn more. Understand not only the value, but the importance, of having a personal mindfulness practice should one be offering practice to others, and tools to help support this. Learn about the possibility that comes from deep Mindfulness curriculum through the case study of what Peace in Schools is doing as a for-credit Mindfulness course in public high schools in Portland, OR. Touch the joy that comes from recognizing that not only do your students deserve to be happy, you do too. A recording of the workshop. A workshop kit with summarized key points, practices to try, and further resources. Caverly Morgan is a meditation teacher, nonprofit leader, and visionary. She is the Founder and Guiding Teacher of Peace in Schools — a nonprofit which created the nation’s first for-credit mindfulness class in public high schools in Portland, Oregon. Caverly leads meditation retreats, workshops, and online classes internationally and speaks publicly at conferences on topics including contemplative practice, social entrepreneurship, authentic leadership, and mindfulness education. Her work has been featured in publications such as TIME Magazine, Mindful Magazine, and The New York Times. This workshop costs $49 per attendee. Register here. How do I join the LIVE event? When you register, you will receive call-in instructions to join the video conference call. What if I can’t make the LIVE event? If you’re unable to attend the live event, you may still register to access the recording and resources after the event. Can I receive professional credits? Educators can qualify for 1 graduate-level credit for educators. In order to apply, you must log an additional 14 hours of work relevant to this topic and submit to our crediting vendor, Courses 4 Teachers. More information about this process can be found here. If you have paid for the event and were unable to attend the live workshop, you will receive access to the recording as well as any supporting resources. Mindfulness practice is both a wide and deep path–the current field of secular mindfulness continues to grow and diversify in practice guidance and teaching innovations and in our understanding of research. The Mindful Schools Workshop Series provides you with an opportunity to take a deep dive into a variety of topics delivered by experts, giving you access to the leading edge of what is relevant in the field and allowing you expand your mindfulness practice and teaching. These 75 minute sessions will equip participants with tools they can immediately implement in their personal and professional lives. Sessions will include a talk, practices, Q&A with the presenter, and a live chat with fellow participants. Followup resources will be provided with a link to the recording, summarized key points, practices to try, and further resources to continue your journey. Our Workshop Series is appropriate for all levels of experience. 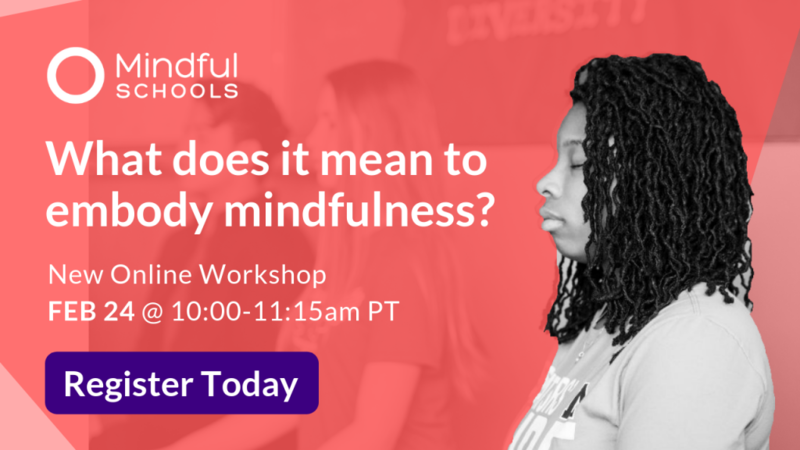 We strongly encourage completing our Mindfulness Fundamentals course so you may participate in workshops with a shared understanding of the Mindful Schools practice framework of secular mindfulness. Educators and MHPs may receive credits for the Mindfulness Fundamentals course.